Hi guys. I know this isn't the kind of post I usually do but I have been reading THE BEST books recently so I thought I'd maybe do a mini series, do a few posts every so often reviewing the books I've been reading. Okay so Black Dog... If you know the kind of stuff I like to read you would know that this *gestures to the book* is right up my alley. I LOVE urban fantasy but I find vampires over done & usually very dull. I like my urban fantasy interlaced with mythology, modern/futuristic worlds & magic. The three M s.
This book is SO cool as far as urban fantasy goes. First off, no Vampires, they've all been killed off in a war that happened pre-book. Secondly, mythology! I'll try not to spoil the book but, the main characters are from Mexico; a twin boy & girl & their older brother. The older brother is a 'Black Dog' which is kind of like a hybrid between a were-wolf & a hellhound. The girl is a 'Pure', which is like a white magic witch I guess, & the remaining brother is human. 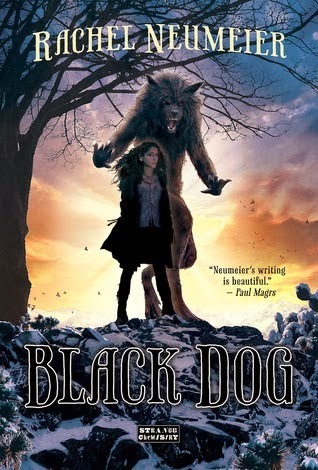 The mythology surrounding the Black Dogs & the Pure is really interesting, mostly because it has these bits of 'real' mythology woven into the mythology of the book, so it is kind of like you are looking at this world sideways. And as most of the humans in the book are un-aware of the realities of the 'Black Dogs' & the 'Pure-s' it has that wonderful feeling that this could all be real & we just aren't aware of it (I LOVE that in a book). Thirdly, I love the characters. The plot is quite good, the setting around the plot is a little...'I've read this book before' you know? But the characters are great, their personalities are interesting & - apart from a few sentences that are so out of character they set your teeth on edge - they are written really well. The book is definitely worth reading & I am really looking forward to the next book in the series (there HAS to be a next book, there just HAS to be) & I am hoping that as the author develops & the story develops the few - teeny tiny - niggles I had will be fixed.